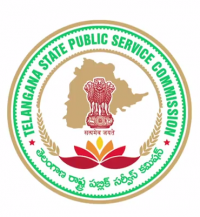 TSPSC MPSO Hall Ticket 2018: Telangana State Public Service Commission (TSPSC) has released the Mandal Planning and Statistical Officer/Assistant Statistical Officer in Director, Directorate of Economics and Statistics Subordinate Services Department in the State of Telangana hall tickets/admit card today. All the applicants enrolled for the TSPSC Mandal Planning and Statistical Officer(MPSO) examination can download their admit cards from the TSPSC Official Portal, tspsc.gov.in. The Examination will be conducted on 2nd September in various regions across Telangana. The TSPSC MPSO examination is scheduled to be held on 2nd September. Applicants who have enrolled for the Mandal Planning and Statistical Officer posts can download the admit cards from the TSPSC official website, tspsc.gov.in. the hall ticket/admit card is expected to release before 7 days of the examination (approximately). Candidates can check the details of examination center, date and timings from the admit card. The TSPSC will also print the details of candidate’s names, register number, photograph, signature and other details. Candidates can cross check all the details after download the admit card. Candidates have to carry the admit cards without forgetting while going to the examination. Search the TSPSC MPSO Hall Ticket download link in organization website.